While surfing the World-Wide Web of Quasi-Information a few days ago I happened upon an excerpt from Ricercata, a documentary made by Daniel Brüggen, formerly of Loeki Stardust Recorder Quartet fame and now a professor at the Royal Conservatory of The Hague. Daniel has also been making musical documentaries over the past few years and, judging from the clip I saw, does so in a thoroughly engaging way. Ricercata seems to be a unique tribute to the recorder by someone who knows the territory like the back of his hand, and I look forward to the arrival of the copy I just ordered. 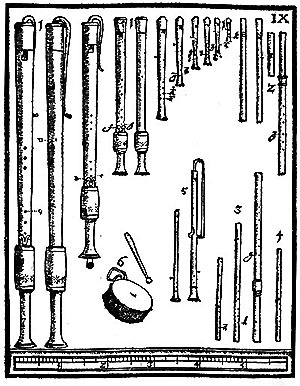 The excerpt I saw featured an interview with Bob Marvin, that celebrated and long-standing maker of medieval, Renaissance and transitional recorders who was born in the USA but has lived and worked in rural Québec for decades now. I met Bob years ago, though I can’t exactly remember what on earth brought him from his secluded and rustic home to visit Toronto. Perhaps it was a workshop presented by the Toronto Early Music Centre, but I’m not sure. It was winter when Bob visited Toronto that particular time. Walking beside him along the street one day, I remember watching snowflakes settle and slowly melt on a couple of his tenor recorders, which were sticking out of their undersized bag into the frigid air. When I expressed some concern about the negative effect this might have on the instruments, Bob pointed out that they had originally been trees, after all, and as such were probably used to all kinds of weather. Fair enough. I also have a vivid memory of a meal shared with Bob and my partner Colin at Country Style, Toronto’s legendary Hungarian restaurant on Bloor Street West. We watched in astonishment as Bob finished off an entire Transylvanian Platter, a once-around-the-kitchen offering with enough food to feed a small bear. The restaurant had a special deal, too: if you could consume an entire Transylvanian Platter by yourself, you didn’t have to pay for it, so when we left the restaurant the only item on Bob’s bill was his tea. To this day, I’ve got no idea where he put it all. Maybe he was a camel in a former life, returned as a human with the ability to go for days without sustenance after an occasional refuelling. Honestly, that explanation is as plausible to me as any other. It was remarkable. 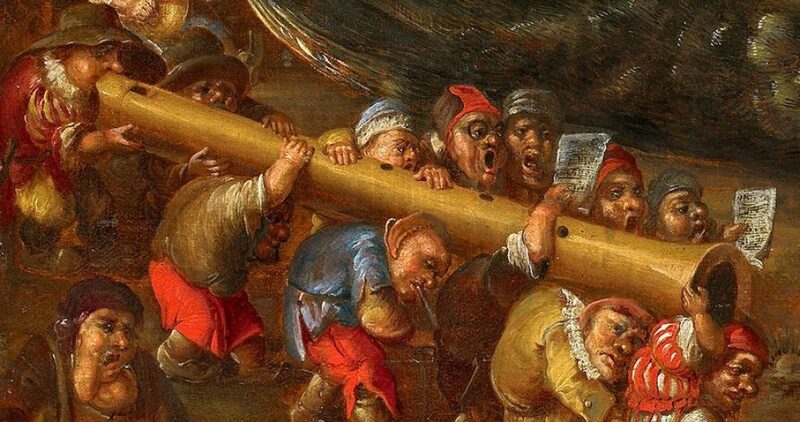 But there were many more remarkable things about Bob, including his fascination with 15th- and 16th-century music and his mastery of recorder making. He loved early and mid-Renaissance music and was game to play it for hours, always from the original notation; and he would regale listeners with information from 15th-century writings of all kinds, not just musical ones. As for the instruments he builds, they are faithful copies, magnificently made, and all imbued with the distinctive and thoughtful character of their maker. Thank you, Bob. This entry was posted in Friends and Colleagues and tagged Bob Marvin, Daniel Brüggen, Renaissance recorders, Ricercata documentary by Alison. Bookmark the permalink.